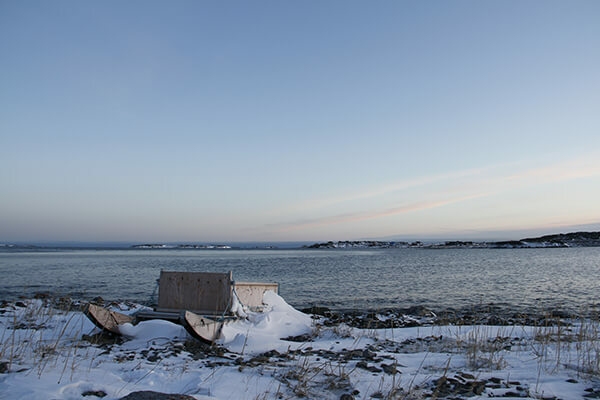 Sakku Investments Corporation (Sakku) is the Development Corporation of the Kivalliq Inuit Association (KIA). Under the Nunavut Land Claim Agreement, KIA is a designated Inuit organization which represents the interests of all Inuit living in the Kivalliq Region, with Sakku serving as its 'Business Arm' and deemed an Inuit Birthright Corporation. The sakku is a toggle harpoon head, which is most commonly used by Inuit for hunting seals, whales and walruses. It attaches to the end of a harpoon shaft and a cord. When the sakku penetrates, the tension from the cord will rotate the sakku 90 degrees and prevent escape. This ingenious invention has, over many thousands of years, ensured the survival of the Inuit. The sakku remains practical and is in common use today; it is representative of the endurance of Inuit culture.